Net Neutrality: I’m totally for it! Wait, what exactly is it? Hardly anyone is neutral on the issue of net neutrality. Passions flare when the issue is discussed — from Netflix and Twitter participating in an “internet slowdown” protest last month to comedian John Oliver’s thirteen-minute rant on his late-night HBO show in early June. Although virtually everyone who discusses the issue comes out in favor of net neutrality, the debate gets heated when discussing how the Federal Communications Commission (FCC) should achieve net neutrality. But before discussing which of the two major regulatory courses of action the FCC will likely choose, let’s get everyone up to speed on net neutrality. Understanding net neutrality first requires an understanding of how the internet works. There are three key players in the internet — the internet service providers (ISPs) such as Comcast and Verizon, the content providers such as Google, Facebook, and Netflix, and the end users such as you and me. Sometimes these three key players overlap. You were a content provider when you tweeted a funny comment last week— oh you, you’re so witty! But let’s keep things simple for now by assuming that the key players do not overlap. 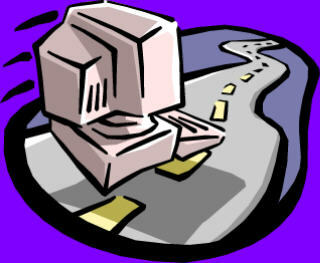 We can use the overused internet highway analogy to demonstrate how the key players fit together. Think of the ISPs as toll booth operators, the content providers as drivers, and the end users as the drivers’ destinations. The toll booth operators can control which toll lanes are open, how fast the drivers get through the lanes, which drivers are allowed access to their destinations, and how much the drivers have to pay. If given free reign, the toll booth operators could make it very difficult and expensive for drivers. Similarly, if given free reign, an ISP could block certain content providers from accessing the ISP’s “backbone network,” which is considered the “last mile” connecting the content provider to the end user. An ISP could also require content providers to pay for priority over other traffic — an internet “fast lane”. Finally, an ISP could discriminate against content providers by giving priority to the ISP’s own content over competing content providers’ content, such as a cable company blocking an online video provider like Netflix. Net neutrality is a principle that requires ISPs to treat all content the same, regardless of its source. Net neutrality would prohibit ISPs from engaging in content blocking, paying for prioritization, and preferring an ISP’s own content over competitors. Sounds good, right? 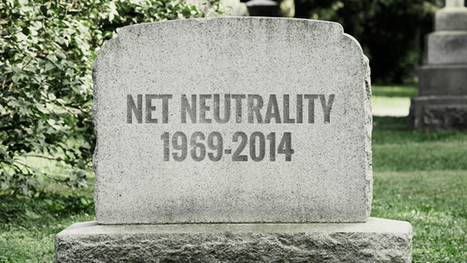 So why is net neutrality in jeopardy? Before 1996, all communications systems were treated as common carriers, which meant that providers were required to serve all customers without discrimination. They had no say over the content and had to allow unfettered access. The Telecommunications Act of 1996 created differential treatment of “telecommunications services” — those communications networks that offered two-way connectivity to the public– and “information services” — the content and applications shared over telecommunications services. Telecommunications services were regulated but information services were not. Therefore, the FCC could regulate the ISPs, but not the websites and applications. But starting in 2002, the FCC deviated from this clear distinction by classifying cable modem services, a subset of ISPs, as information services. In 2005, the FCC broadened the unregulated information services classification to broadband offered through other platforms. Thus, broadband generally became unregulated. In response to a backlash for deregulating broadband, the FCC issued a policy statement containing a set of principles “to ensure broadband networks are widely deployed, open, affordable, and accessible to all consumers.” Sounds familiar, right? 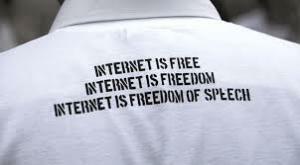 The 2005 Openness Principles embodied net neutrality. In 2010, the FCC promulgated rules codifying the 2005 Openness Principles in an Open Internet Order that included anti-blocking, anti-discrimination, and disclosure rules governing ISPs. In Verizon v. FCC, Verizon challenged the FCC’s authority to issue the Open Internet Order. They argued that it lacked the statutory authority to do so and that the rules it imposed on ISPs were arbitrary and capricious. In January of this year, the D.C. Circuit Court overruled the anti-blocking and anti-discrimination provisions of the Open Internet Order because those provisions essentially treated ISPs as common carriers, but the ISPs were explicitly exempted from common carrier regulations. With the D.C. Circuit gutting the FCC’s Open Internet Order, net neutrality advocates worry that ISPs are free to block websites and applications from their network and implement pay-for-priority routing schemes. On May 15, 2014, the FCC issued a notice of proposed rulemaking to address net neutrality. In the notice, the FCC has proposed two avenues to codify net neutrality without running afoul of the Verizon ruling. [The FCC shall] encourage the deployment on a reasonable and timely basis of advanced telecommunications capability to all Americans … by utilizing, in a manner consistent with the public interest, convenience, and necessity, price cap regulation, regulatory forbearance, measures that promote competition in the local telecommunications market or other regulating methods that remove barriers to infrastructure investment. Critics of this approach point out that, in light of the Verizon holding, it does not appear that the FCC’s authority under Section 706 would permit the agency to prohibit paid prioritization. To do so would be treating ISPs as common carriers without classifying them as common carriers. The second avenue is to reclassify ISPs as common carriers under Title II of the Communications Act of 1934. By reclassifying ISPs as common carriers, the FCC would presumably be able to prohibit paid prioritization because it can regulate against “unjust or unreasonable discrimination in charges, practices, classifications, facilities, or services” under section 202 of Title II. Critics of the Title II approach point out that section 202 is just one of 47 statutes governing common carriers, and that imposing common carrier status on ISPs would stifle innovation and competition in internet services. And some ISPs think such a reclassification would not ban paid prioritization. The FCC received more than 3.7 million comments on its proposed rulemaking. This is almost twice the number of comments the agency received in response to Janet Jackson’s “wardrobe malfunction” at the Super Bowl XXXVIII halftime show. 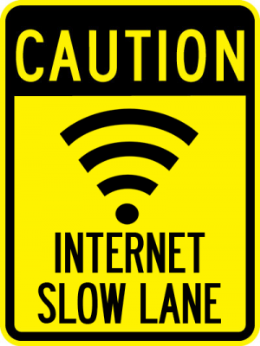 The FCC also sought expert opinions on the best way to ensure internet openness. On September 16th, the FCC hosted Open Internet Roundtables, at which panels of experts from a variety of disciplines debated three issues: threats to internet openness; the proper scope of internet openness rules; and how best to enhance transparency by internet service providers. While the FCC wades through these comments and reflects on the recent roundtable discussions, there is talk of addressing the net neutrality issue through legislation. In June, Senator Patrick Leahy of Vermont and Representative Doris Matsui of California introduced the “Online Competition and Consumer Choice Act”. The Act would require the FCC to prohibit paid prioritization agreements between ISPs and content providers. While we’re waiting to see what the FCC and Congress do about net neutrality, let’s enjoy this award-winning internet cat video: Winner of the Golden Kitty Award at the 2014 Internet Cat Video Festival. Previous Post: When Will There Be An “Official” Electronic Version of the Colorado Revised Statutes?